After a DUI conviction, you might feel like your life is over. When you’re dealing with court dates, attorney meetings, and interlock service appointments, you might feel like this ordeal will never end. Fortunately, this too shall pass, and there are many things you can do to take your life back. Getting a DUI is often a classic sign of a serious substance abuse disorder. While that isn’t always the case, DUI charges are often a serious sign of addiction. This is especially true for someone with repeat DUI offenses. If you’re ready to get your life back on track after your conviction, it might be time to consider rehabilitation. Often, judges see this as a positive sign that a defendants is ready to change. Alcoholics Anonymous (AA) works for many people who are convicted of drunk driving, and many sentences will mandate ongoing support in the form of peer support groups. However, the 12-step process doesn’t work for everyone, and that’s okay. If you feel that you need more help than what you’re getting at your group meetings, then think about reaching out to a professional. Outpatient therapy or counseling might be the more appropriate route, and it can really help you overcome any problems you might be facing. If you were a social drinker in the past, you are going to have to find something to occupy your time now to overcome your old drinking habit. Many experts say that the key to quitting something is simply replacing it with a healthier activity, so it never hurts to try something new. Sports, reading, traveling, or any other activity that you find fun might be able to help you stop drinking and avoid getting another DUI. 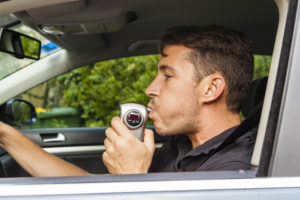 You’ve been dealing with ignition interlock devices since getting a DUI, and you probably are ready to get rid of it. Have you ever thought about keeping one in your car? When installed, interlocks are associated with about a 70% reduction in arrest rates for impaired driving. If you keep an interlock device in your car, you can keep yourself safe and stop yourself from drinking and driving ever again. Don’t let your DUI get you down. It’s important to learn from the experience, and it’s important to grow from it too. Try some of these tips to help you get your life back on track after getting a DUI.